HIGH QUALITY - Canadian malting barley is used to produce high quality malt and beer all around the globe. World class breeding programs, leading edge farming practices and excellent climatic conditions ensure the highest quality malting barley. This is complemented by grain companies with decades of expertise in the handling and commercialization of this highly specialized crop that must be identity preserved by variety through the system and delivered to the customer in a living state. RECOGNIZED BY END-USERS - Canadian varieties are recognized by customers around the world, from the iconic Harrington variety which was the king of malting barley varieties in Canada in the 1980s and 90s to current varieties such as AC Metcalfe and CDC Copeland which are known for their remarkable ease of processing by maltsters and brewers everywhere. NEW VARIETIES - Canada is continually introducing new varieties to meet end-user requirements in the dynamic malting and brewing sectors. In addition to the tried and true cultivars, there is a new slate of malting barley varieties available in Canada, for producers and buyers to choose from with improved agronomics and excellent quality parameters, ensuring that Canada remains competitive on the global stage. These new varieties include: AAC Synergy, AAC Connect, CDC Bow, CDC Fraser and Lowe. 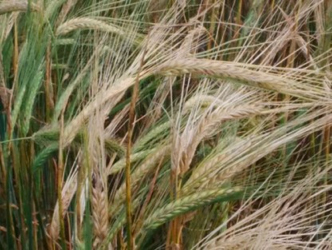 Information on Canada's malting barley varieties can be found in the Variety Quality Overviews section of this web site (see also tabs on the left and the links section of this page for additional information from other organizations). The jointly issued CGC/CMBTC Quality of Western Canadian Malting Barley 2018 annual new crop report can be found here.